Our long-time representative in Slovenia Dr Nemo won a tender in spring 2018 to supply ChemPro100i chemical detectors with CBRN kits to local fire brigades whom through this acquisition are upgrading their HazMat capabilities. 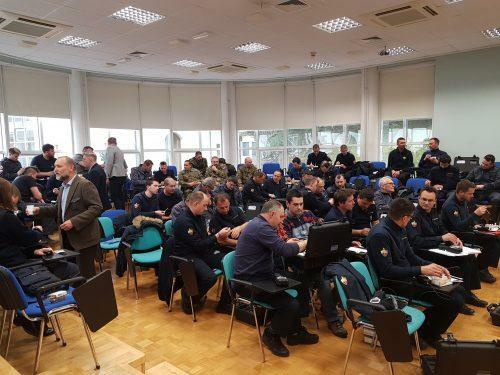 The detectors have now been delivered to fire brigades around Slovenia and the first two trainings held. ChemPro100i is a handheld gas & vapor detector for the field detection and classification of Toxic Industrial Chemicals (TICs) and Chemical Warfare Agents (CWAs). It can be used daily in “routine” HazMat, and for the less common CWA incident. Unique trend display shows the chemical concentration in real time graphical display allowing fast and easy to read way to quickly localize the chemical. The CBRN kit adds the capability to detect also gamma and X-ray radiation and provisional identification of seven most common Biological Warfare Agents (BWAs).